Starburst. The final frontier. 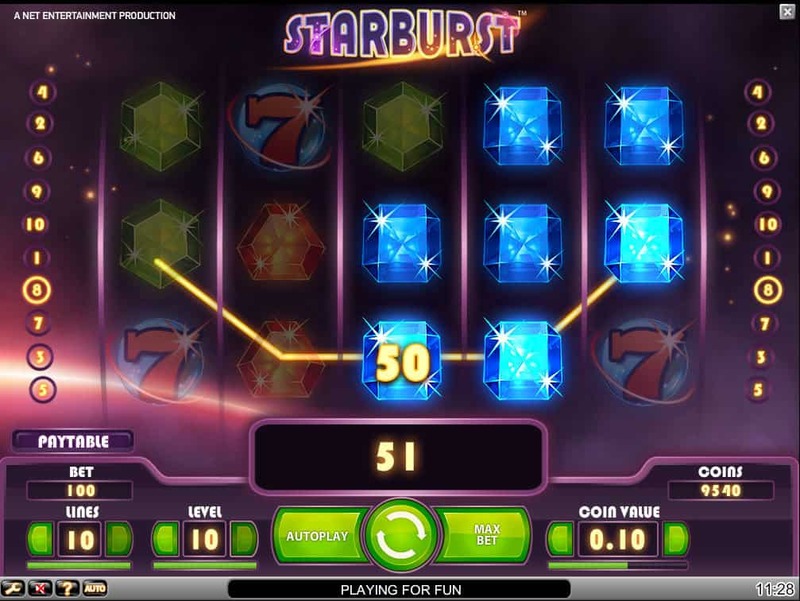 This is the voyage of one of NetEnt’s most enduring and popular slots games Starburst Slot. The shimmering stars, the pays both ways pay structure, the Starburst Wild Reels. It’s got plenty going for it, not least that it’s retro and futuristic in the same breath. It’s also one of those slots that online casino houses love to offer as a free spins staple. They sure know how to entice us. Starburst is the future. And it’s also the past. If you can get your head around that, then you’re onto a winner. 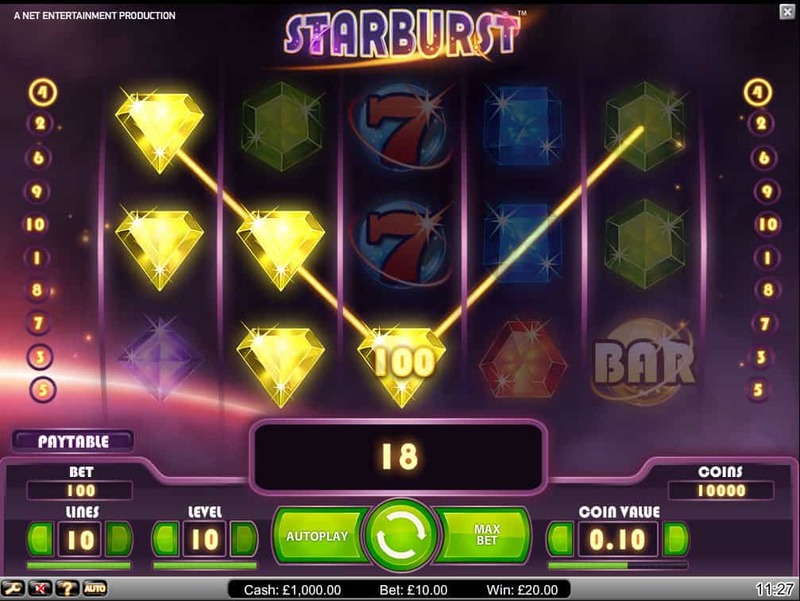 The stars are the kings in this classic slot, as are the classic slots symbols of games gone by. Shimmering space jewels hurtle stacked across our five reels, bursting into vivid life when they form winning combos. It is as if the sun has caught their shiny edges in the midst of deep space, enough to enliven any astronaut’s voyage. It is the classic BARs and 7s - clear nods to vintage slots play - that bring the retro into the future. And all the while stars float behind our reels, delivering the deep space feel alongside the celestial soundtrack. 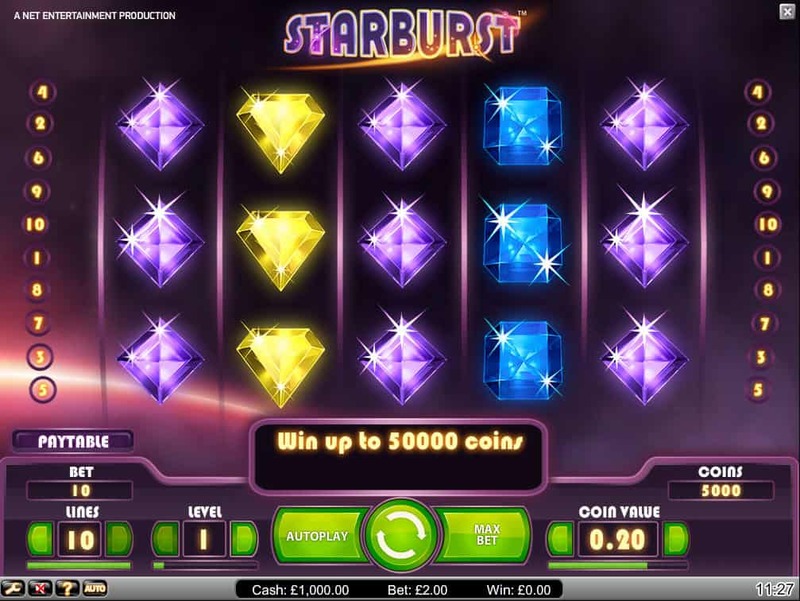 Starburst’s success story might shock some newer slots fans when they discover that this slot doesn’t contain a dedicated bonus game, such as a free spins feature. 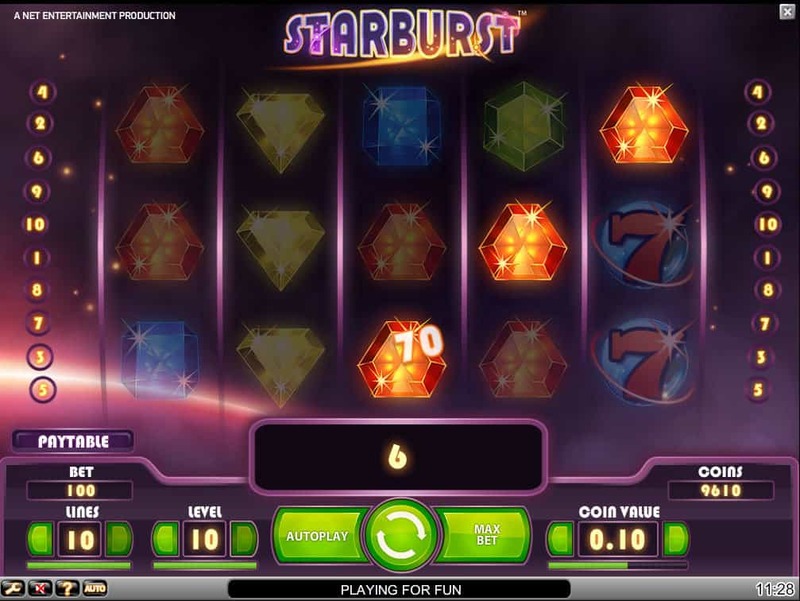 NetEnt is a studio that loves a base game bonus feature, and Starburst is the perfect execution of that model. The Starburst Wilds appear on reels 2, 3 and 4, expanding to cover the reel like our our stacked game symbols. If and when they appear, not only do they complete winning combos when they land, but they also re-spin. Should another Starburst Wild appear during that re-spin, those winning combos will add to our win and be followed by a further respin. We can enjoy a maximum of three Starburst Wilds, which could potentially give us multiple five-of-a-kind wins, both ways. It’s the stuff that dreams, and stars, are made of. 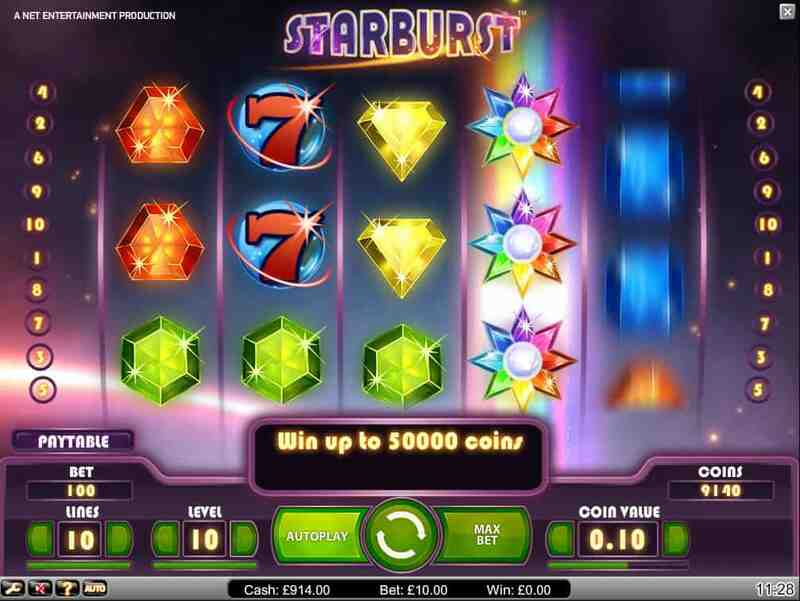 When NetEnt released Starburst, it unleashed a classic slot game. The pays both ways pay structure and expanding, respinning Starburst Wilds deliver plenty of base game bonus action. Meanwhile, the gameplay is as smooth as we would expect and hope for from a slot sent from the future. If you’re after mega wins from a serious free spins feature, you’re barking up the wrong tree here. 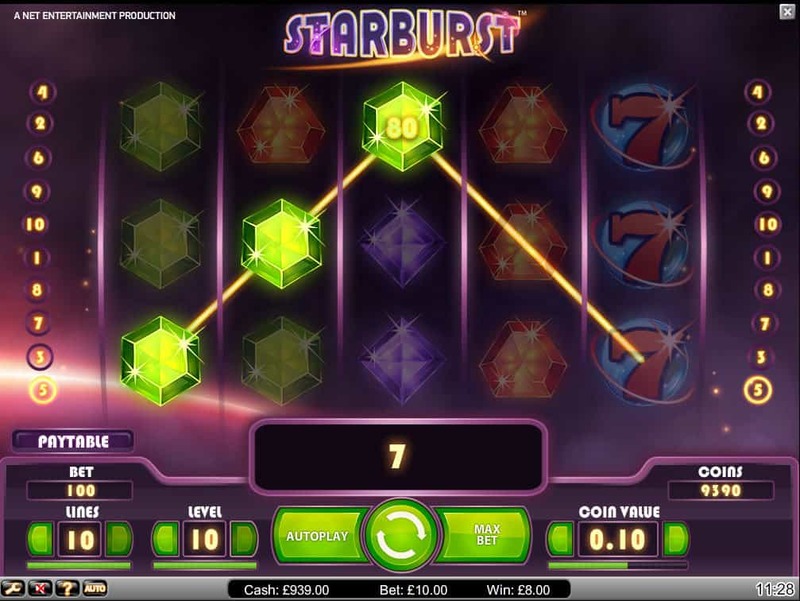 But if you’re after some steady-paced slots action, then Starburst is your first port in a space storm.